The Happiness Architecture Beauty initiative set up by Kevin McCloud in 2007 challenges the way volume housing is built in the UK. It aims to make homes a joy to live in by paying careful consideration to history, landscape, sustainability and community. Just 2 miles from Winchester and on the edge of the South Downs National Park, this new development needed to look modern and contemporary, but blend in with the sites beautiful rural surroundings. 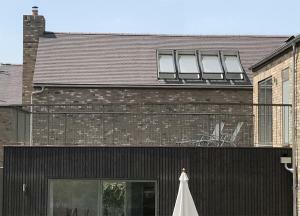 The selection of building materials was key to achieving this and rather than opting for red brick, typical of much of the new housing in the area, the design team opted for more mellow brown and buff brick to match the surrounding grass, hills and earth. 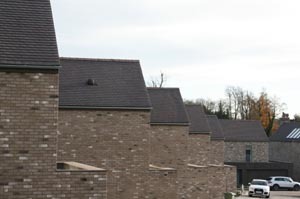 Dreadnought's dark heather rustic roof tiles tone well with this subtle pallette of natural materials and their rustic texture suits the countryside location well. 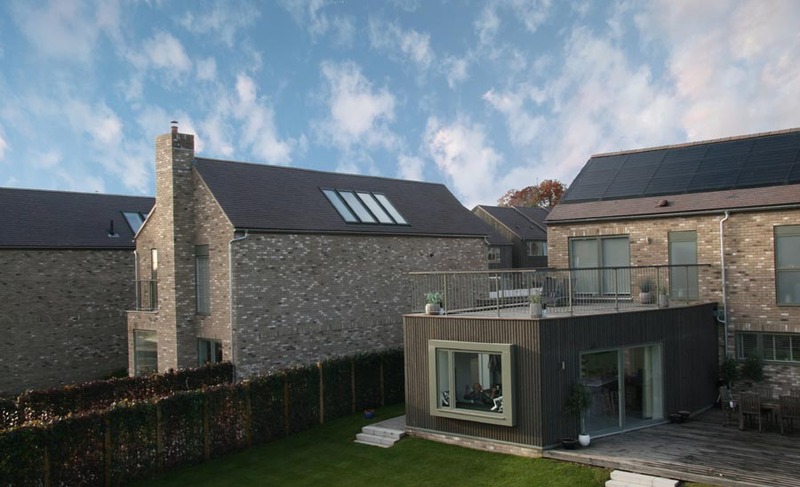 They also tone well with the solar panels, ensuring the panels do not dominate the appearance of the roofs while providing all the benefits of sustainability.